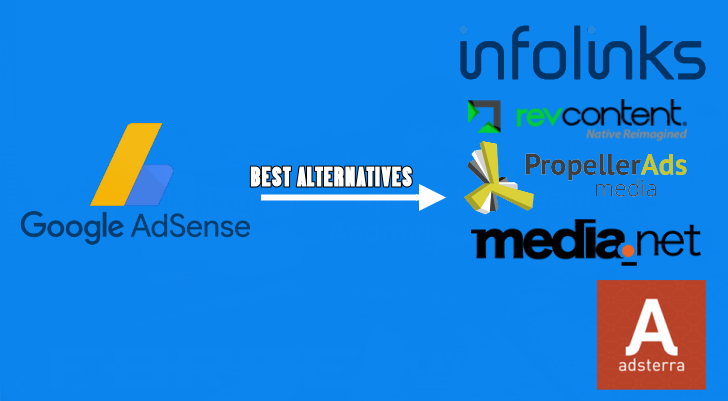 Top 5 Google Adsense Alternatives 2019 As we know that Google AdSense is the most famous and highest paid publisher in the world. Almost 95% bloggers prefer Google Adsense for online earning from the blog. But getting Google Adsense Account is too much difficult. So Bloggers choose the alternative of Google Adsense to gain profit from the blog. There are many high paying Google Alternatives In this article we are describing top Google Adsense Alternatives below with complete details such as Impression, CPC and threshold. As we know that Google AdSense is the most famous and highest paid publisher in the world. Almost 95% bloggers prefer Google Adsense for online earning from the blog. But getting Google Adsense Account is too much difficult. So Bloggers choose the alternative of Google Adsense to gain profit from the blog. There are many high paying Google Alternatives In this article we are describing top Google Adsense Alternatives below with complete details such as Impression, CPC and threshold. You can get us on Facebook, Twitter, and Pinterest. Enjoy! Our Services compeletly free. Because of high paying revenue Media.net is the number 1 publisher after Google Adsense. The threshold of media.net is $100. Propeller Ads is one of the biggest pop up Ad networks available. They shave started their company in 2011 and quickly developed and count into of the biggest Google Adsense Alternative with great CPMs. Specially they monetize the following niche website such as: entertainment, gaming websites videos and movies sites, finances, gambling, software, dating and etc. If you have website of one the category are mentioned above then you can monetize with Propeller than with Google Adsense. They also provide banners ads but the pop up ads are working better that others. Also, if you have mobile traffic on your website then, propellerAds are great. The threshold of PropellerAds is $100. Adsterra is number fourth in the top google Adsense alternatives that paying high revenue on reliable and high-quality ads. Adsterra is a great ad network and opportunity for publishers with great CPMs to earn extra money and lots of different ad formats for both desktop and mobile network all over the world. They pay on a NET15 basis via wire transfer, PayPal, web money, bitcoin, etc. Their ad formats include many categories such as native ads, pop up ads, banners, direct links, web push notifications, etc and Adsterra’s platform allows the publisher to filter and select the type the ads you like to run in your blog or website to get the best CPC for your website or blog traffic. Adsterra is very punctual on paying revenue. They pay revenue to the publisher on time and they are well known because of their serious behavior on paying revenue. Info-links is very old and reliable monetization network and one of best google Adsense alternatives. They are paying high revenue for publishing ads on your blog or website. Info-links are helping round about 200,000 online publishers in 128 countries to earn money from their ad space. 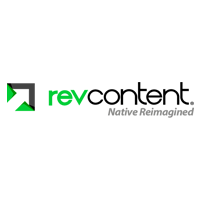 They provide high quality native ads that work perfectly with all ad solutions and and they are very user friendly. They don’t interfere with the user’s experience. For engaging more visitors they try to publish video and native ads on the blog and website. Thanks for providing best alternatives for Adsense. Its really very informative and useful.